Scotland’s David Law now finds himself in very illustrious company after his brilliant success in the ISPS Handa Vic Open. 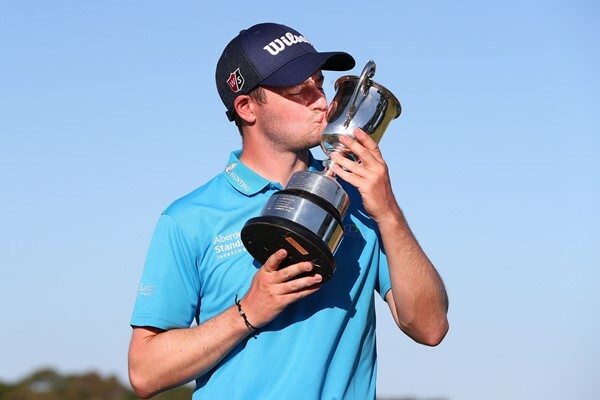 Law, 27 came from three shots behind with three holes to play to birdie the 16th and then sensationally eagle the last in a closing 66 and win by one shot with an 18-under par victory tally at the 13th Beach course to the south-east of Melbourne. The Victoria Open was first staged in 1957 and Law joins the following Major Champions, including five Open winners, as having captured the event. Ian Baker-Finch (Open Champion) – 1985. Law is also only the fifth non-Australian-born winner of the Victoria Open after Player (1959), Kiwi Walter Godfrey (1972), Americans Jim Benepe (1988) and Patrick Burke (1994).